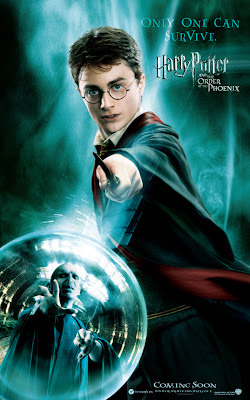 With Deathly Hallows relesing this Saturday,you might feel like revising the Half Blood Prince and the Order of the Phoenix.Harry Potter and the Order of the Phoenix(the movie) is the quickest way to revise the book.Although you won't find details which you would remember if you've read the book atleast once,the movie is a must watch. The special effects are brilliant.Let me explain my ratings.The movie is well made and is a complete entertainer.The reason why a person who hasn't read the book would rate the movie higher is that the story has been twisted quite a bit.But I didn't feel like deducting more than 1 point.The other reason why I've rated it 4.2 is that 42/10 is 4.2.As you know the Answer to life,the universe and everything else is 42 according to the Hitchhiker's Guide to the Galaxy. There's no point explaining the story as I'm sure all of you would have read the book.For those of you who haven't read the book yet, you will enjoy the movie so go and watch it. First of all, in the movie when Harry picks up the prophecy, he listens to standing in the prophecy room.This is probably a move to shorten the movie.You have to do things like this if you want to make the shortest movie out of the longest book. There is no mention of the Quibbler,the magazine owned by Luna Lovegood's father.The magazine plays an important role in the book. 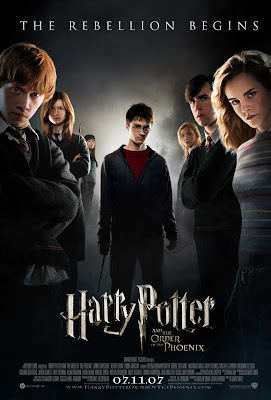 The movie has no mention of quidditch and the ghosts are completely missing.In the movie,Neville discovers about the room of requirement on his own.Harry's broom is not confiscated and he is not banned from playing quidditch in the movie. Draco Malfoy has a 1 minute role in the movie.He was seen only as a part of the Inquisitorial squad occasionally. The ending of the book is tragic and the mirror that Sirius Black gives to harry aggravates the feeling of tragedy.The movie is meant for kids(who prefer happy movies) and it is a short movie so they probably dispensed with this part to account for that. The movie does not mention Mareietta,Cho Chang's friend who tells Umbridge about the DA.There is no explaination to the fact that why only Harry and Luna could see the Thestrals.For those of you who don't know,Thestrals can be seen only by people who have seen death.Another person who is missing from the movie is the Centaur Phirenze,the Divination teacher. Honestly,I've read the book just once,a few days after the release of the book.I'm sure that many of you who have revised it many times would be able to point out more mistakes while enjoying the movie simultaneously. Fred and George's escape from Hogwarts. Centaurs taking Umbridge with them. Harry's and Mr Weasley's trip to the ministry for Harry's hearing. If you feel I've missed something,just flood my comments.